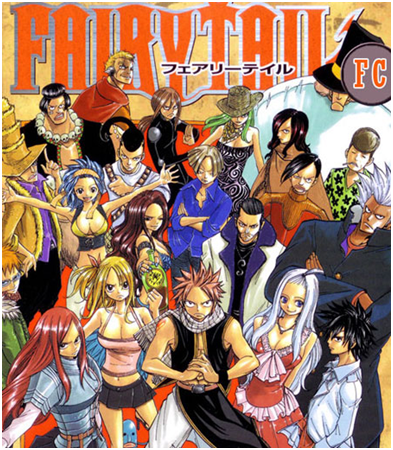 If you enjoy watching Bleach, Naruto, One Piece or even remember Rave then you will surely enjoy watching "Fairy Tail". This anime packs a whole lot of action, cute girls, magic, and impressive adventures. The main character Natsu, is a boy who was raised by a Dragon named "Igneel". The character Natsu actually reminds me of Naruto or Luffy - protagonists who never give up, oblivious to a lot of things and certainly acts stupid which is actually their charm. Each character in Fairy Tail is unique in their own way, each being a mage in their guild - always trying to protect each other and their friends with their lives. When you watch this you will find it kind of cheesy but awesome at the same time, seeing how much each of the characters love their guild for so many different reasons. I find each of the characters involved in the story give this anime more "life" and "depth" with their unique personalities and ofcourse with their own life stories. I highly recommend this anime as a very entertaining one and I’m sure it will keep you company and keep you busy for a long period of time.